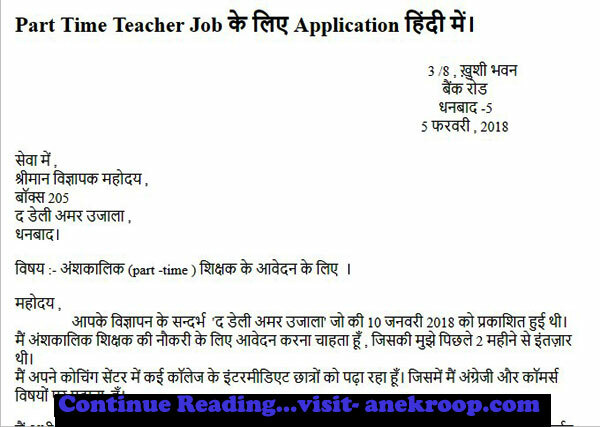 With reference to your advertisement in "The daily Amar Ujala", dated the 10th January , 2018, I have the honour to apply for the post of a part time Tutor, an opportunity, that I had been looking for the last two months. I am teaching Intermediate students of several colleges at my coaching centre and taking English and Commerce. 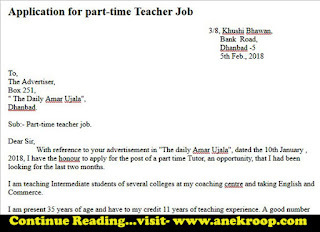 I am present 35 years of age and have to my credit 11 years of teaching experience. A good number of my pupils have shown brilliant results and have the honour of occupying some of the honourable jobs in private and govt. offices. My method of teaching is based on the latest teaching methods. It is rather , more of a friendly nature that my students have always liked me and tried to grasp things. These is no place for fear or terror. 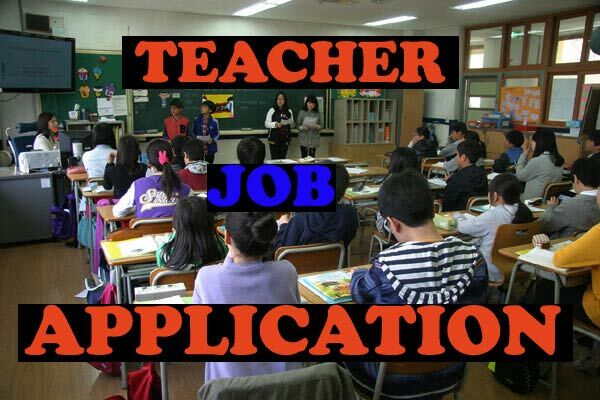 I am in a position to spare my time between 3p.m and 8 p.m. and expect a minimum tuition fee of Rs. 25000/- per month. I shall be glad to call on you at the time mentioned by you in the advertisement. I have the honour to apply for the post of 'Teacher in Economics' , advertised in The Hindustan Times of 15th January, 2018. I beg to submit the following details regarding my following experience, age etc. 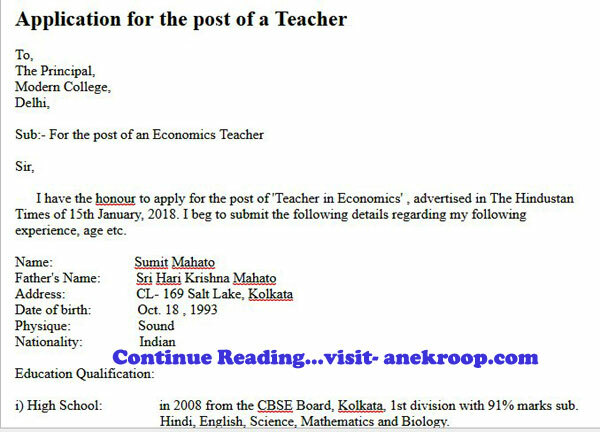 i) High School: in 2008 from the CBSE Board, Kolkata, 1st division with 91% marks sub. 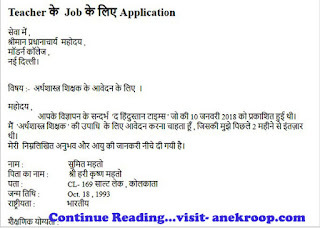 Hindi, English, Science, Mathematics and Biology. 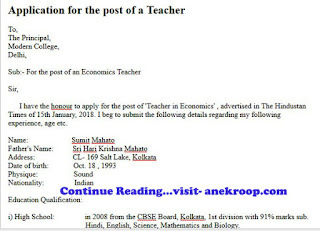 ii) Intermediate: in 2010 from the CBSE Board, Kolkata, 1st division with 90% marks, sub. 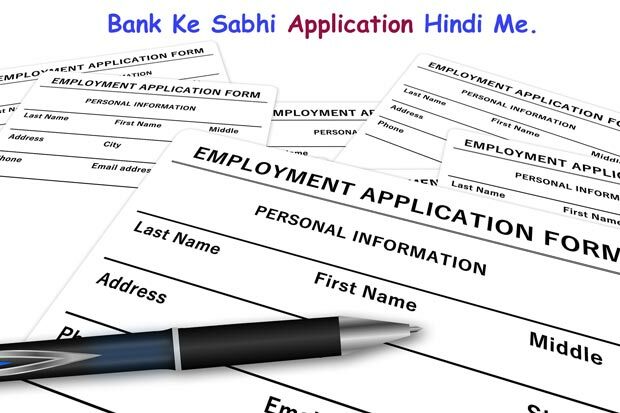 Hindi, English , Psychology, Economics and Sanskrit. iii) B.A. in 2013 from the Delhi University, 1st division with 85% marks, sub. General English, English Literature, Psychology and Economics. iv) M.A. Economics: in 2015 from the Delhi University , 1st division with 86% of marks, 2nd position in the University, sub. Economics. I am teaching Intermediate students of several colleges at my coaching centre and taking English and Economics . i) Mr. A.C. George, Principal , I.N.C. College, Delhi, and Mr, L.C. Gupta M.L.A. ii) The Principal of the I.N.C Delhi Where I received my college education, will be glad to certify my conduct, character and efficiency. Should you kindly grant me an interview I shall glad to give you further information you may need.